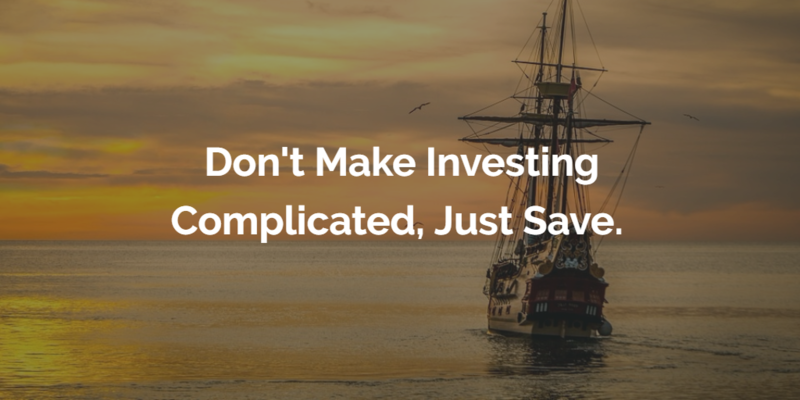 The Most Important Investing Factor, Just Save! This topic was part of the “Planning Basics in 5 Steps” and it’s one of the most important items of planning needs. I often tell clients that the crucial number in investing is how much YOU are saving, NOT your rate of return and/or your account balance. If you have a consistent investment strategy, you will be rewarded in the long run. Example: You save 4% of your salary and your employer match is 4% (also known as 100% match up to 4%). You then max-out your Roth IRA, which is 8.7% of your gross income (example: $6,000 Roth contribution with a gross income of $68,750), which puts you at 12.7%. Now take an additional 8% and invest it into your 401k or Roth 401k (if available). Boom, you’re at 20.7%. Notice that I don’t count your 401k match towards your saving %; not going to let you off that easy! Why Do I Favor the Roth so Much? Great question, I am glad you asked. Unless someone can make a valid argument that taxes will most likely decrease in the future (Current US Debt: $19 trillion), I much prefer paying taxes today when we know what tax rates are! After that, you get tax-deferred growth and tax-free withdrawals since you already paid Uncle Sam! I could probably leave it at that and you would have been looking pretty good; however, I wanted to leave you with a few ideas/thoughts for your investing. The stock market is NOT a “get rich quick” dream; don’t start investing with that mentality because you will only be let down. The stock market is a tool to help build your wealth, not create it overnight. Remember that wealth building is a marathon, not a sprint. The Tortious wins the race every time I read The Tortoise and the Hare. Investing is about the life you want to live later on; however, it is based on your decisions today. A recent study conducted by American Century Investments found that 80% of respondents wish they had someone to nudge them or give them a kick in the pants to save more money. Consider this your kick in the pants! If you’re looking for allocation advice, it won’t happen in a blog post. Allocations are based around the individual’s psychology and tolerance for risk, and the specific goals for each account. A retirement account will be invested much differently than the five year “Trip to Europe” vacation fund. Don’t make investing more complicated than it has to be, let us stress about what all those weird ratios mean. At the end of the day, you should learn a little bit more each time you sit down with your planner. That is the sign of a great planner vs. a salesperson.